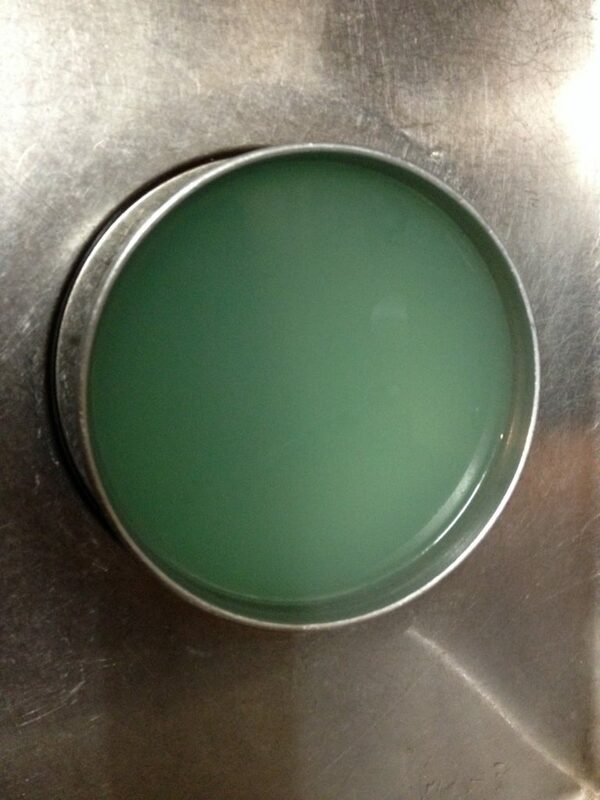 This is a picture with liquid in the pot, but it is strange color. This is a boiled juice that boiled it. It was a good color, so I took a picture. Sometimes my hands are stopped due to unexpected things while cooking. 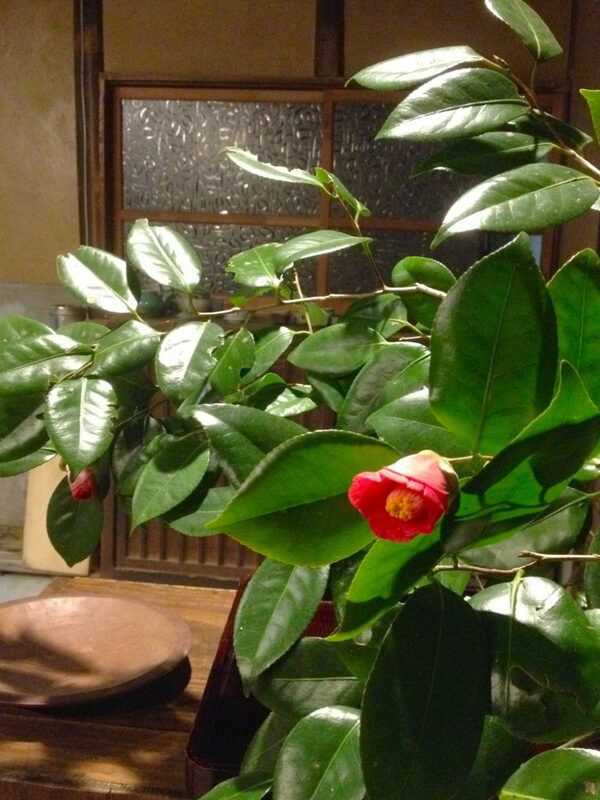 There are various kinds of camellia, but I like this camellia after all. 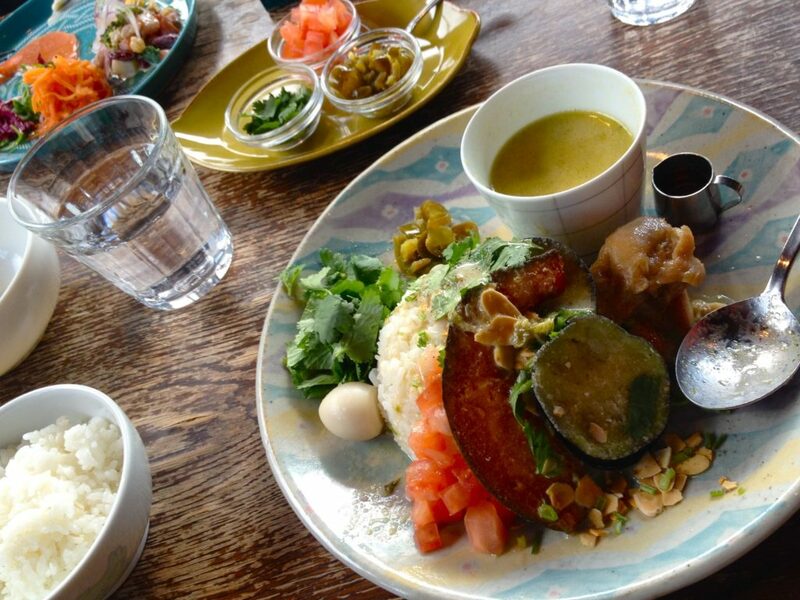 Many are growing naturally in the mountains, and these days it is also good for restaurants’ flowers. 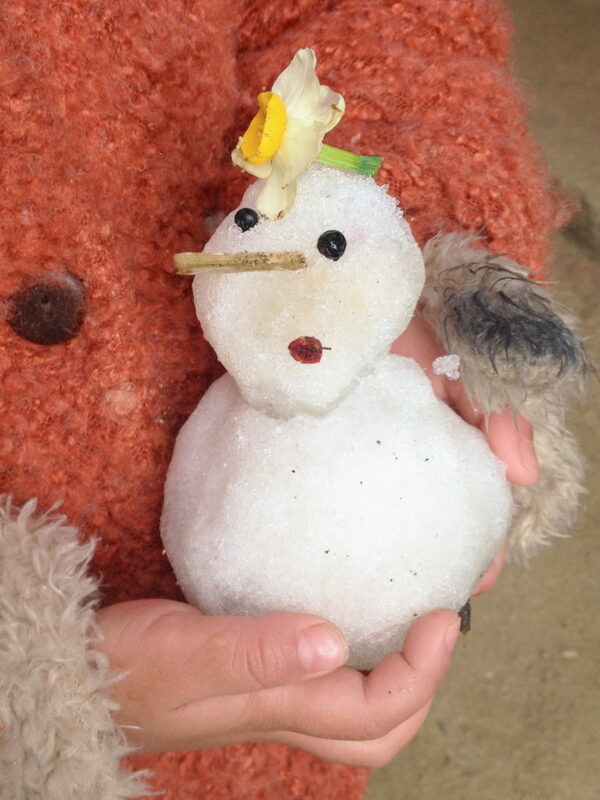 A snowman who my daughter made with the remaining snow. With lipstick and flower tiara on my head …….. I noticed that I was wearing wood logs during this time. Winter is better than summer to make firewood. 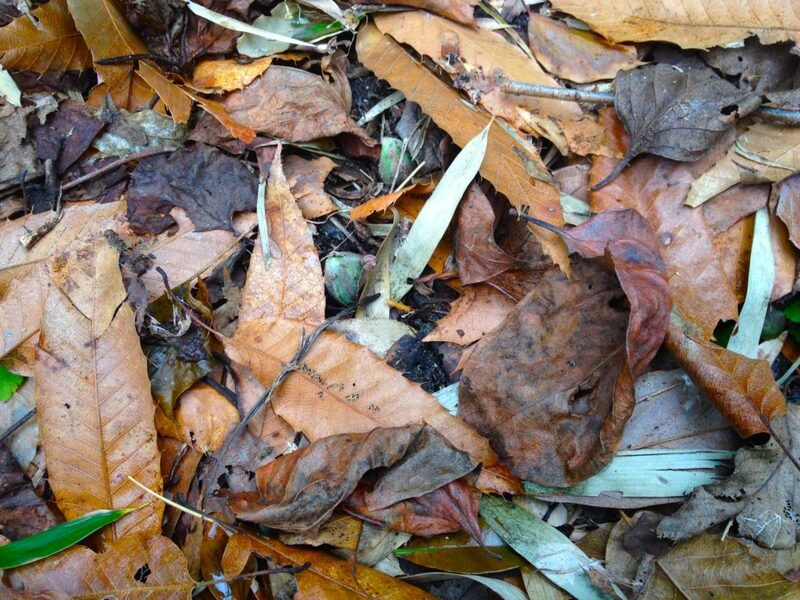 1.Easy to go to the mounten becouse there is no bush in winter time. 3.Making firewood with ax is hard work so too hot in summer but in winter is quite warm. 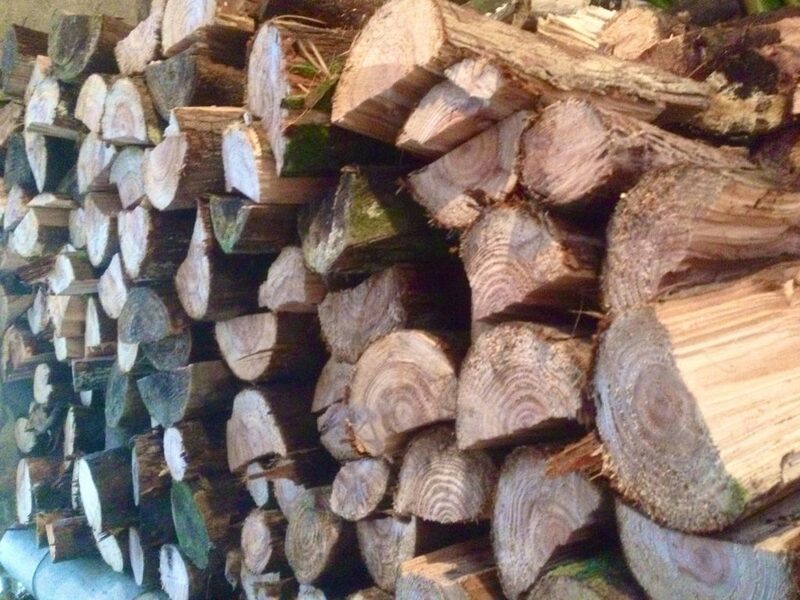 I will stock firewood for next season in this winter time. 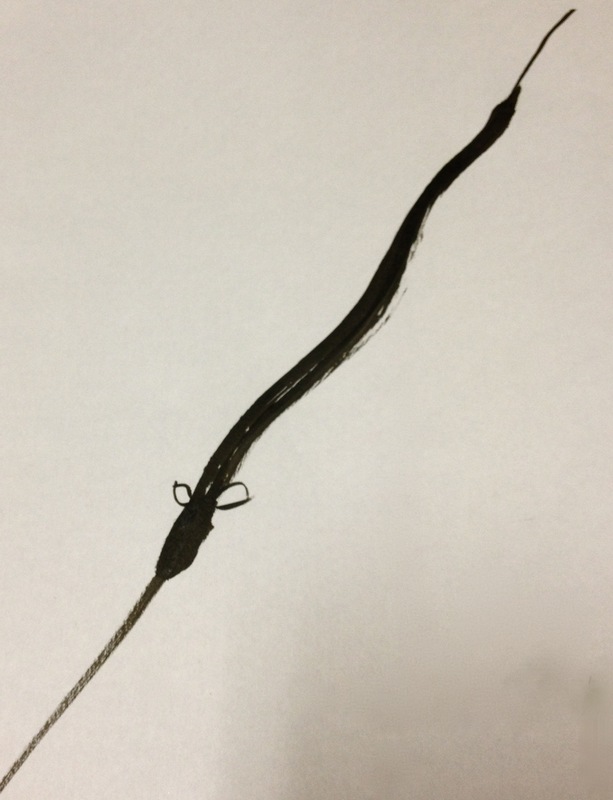 it a Word root of Kabayaki. 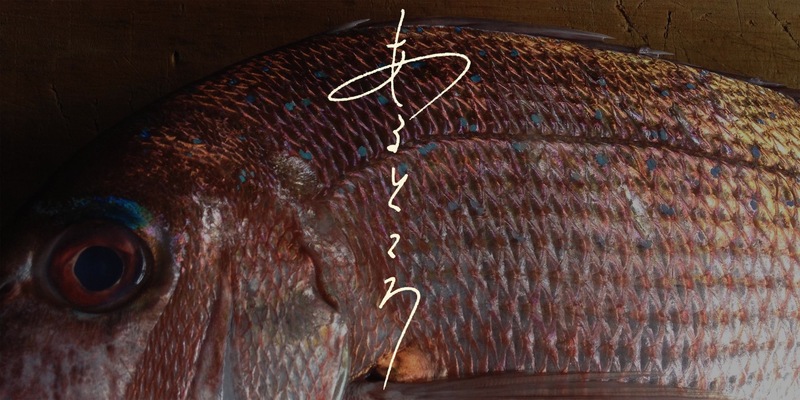 I went to Monne legui mooks in Hasami. 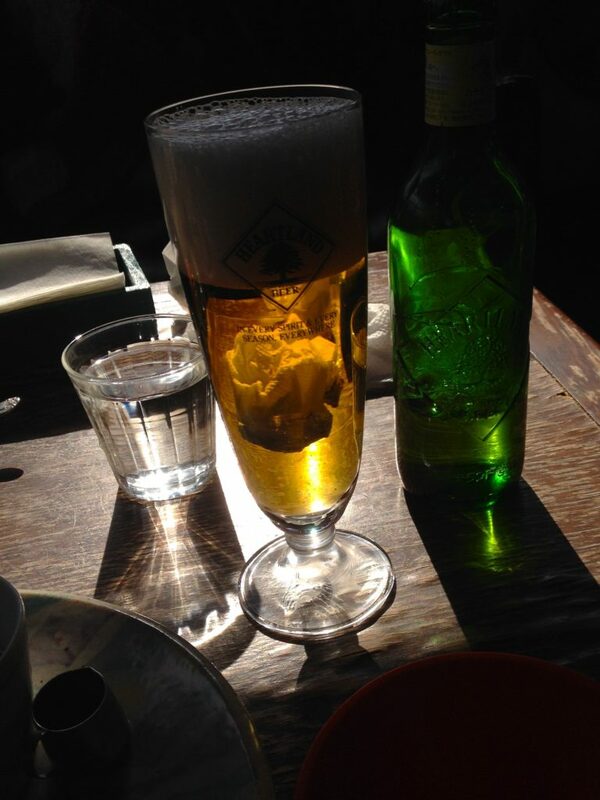 I order curry and of course beer. I was surprised to get up in the morning. 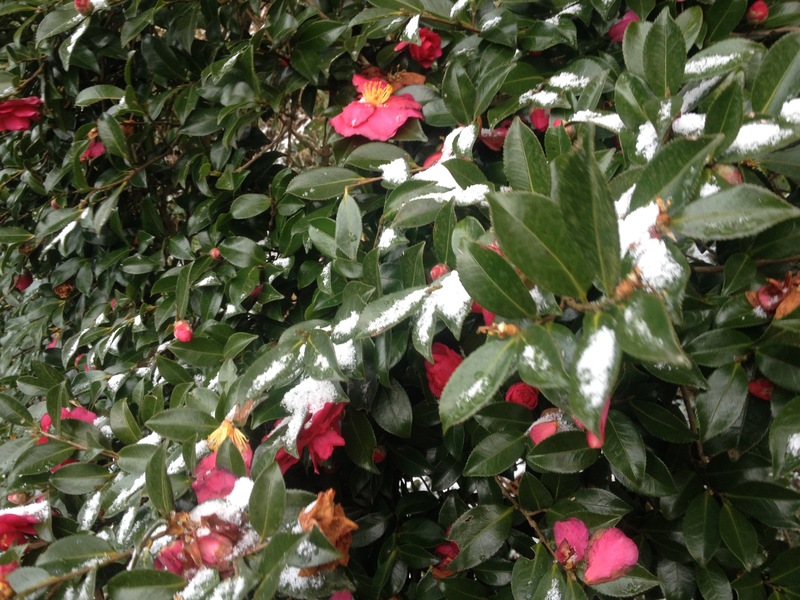 It was because it was blanket with snow all over. On such a day I entered the mountain. 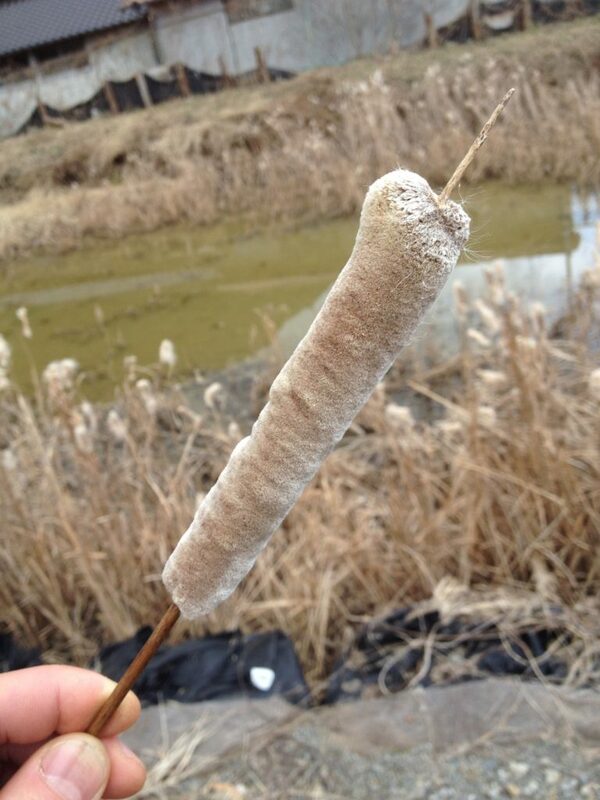 After all it was there.This is a representative spring ingredient called Fukinoto. 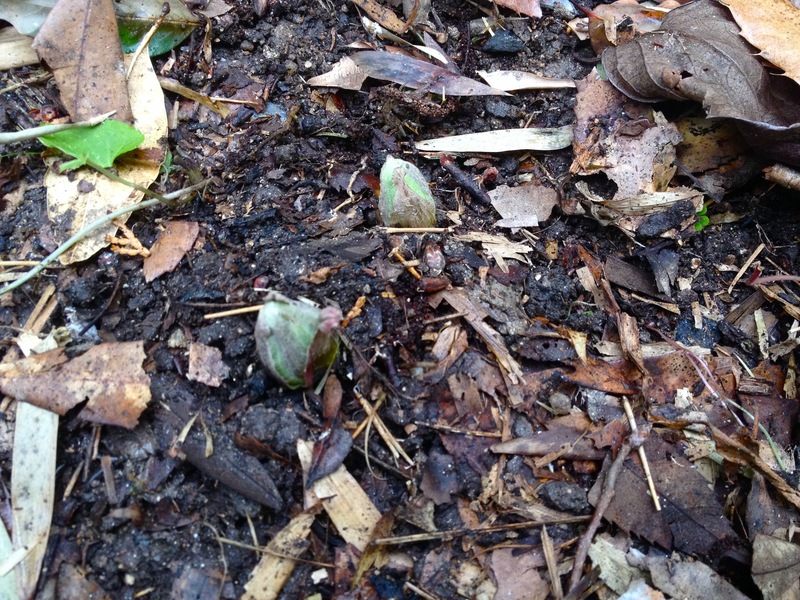 Spring is coming under the snow. 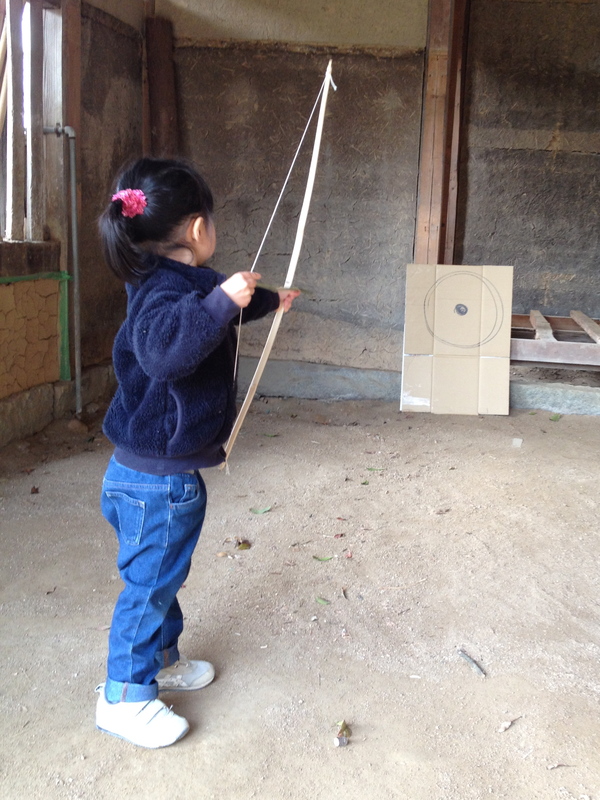 The archery part was practicing when me and my daughter crossed the high school by car. 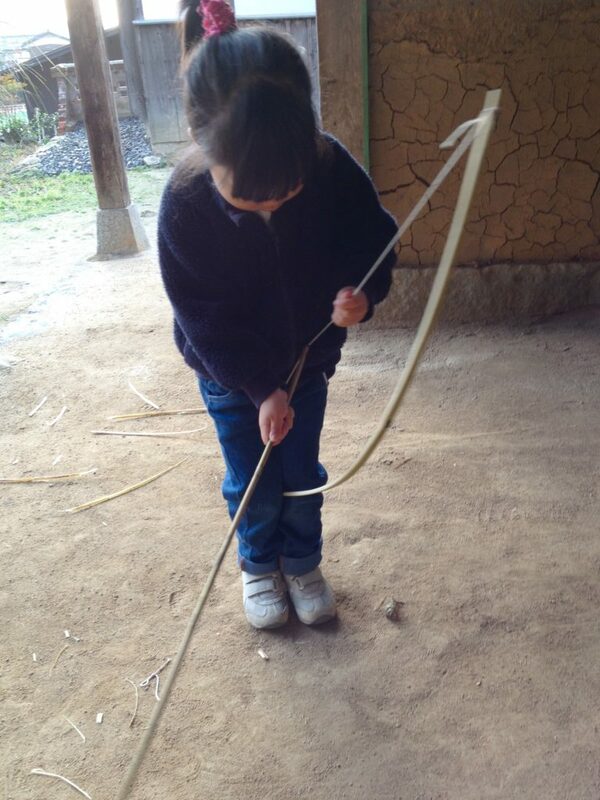 So I made a bow and arrow for my daughter with bamboo in the backyard. 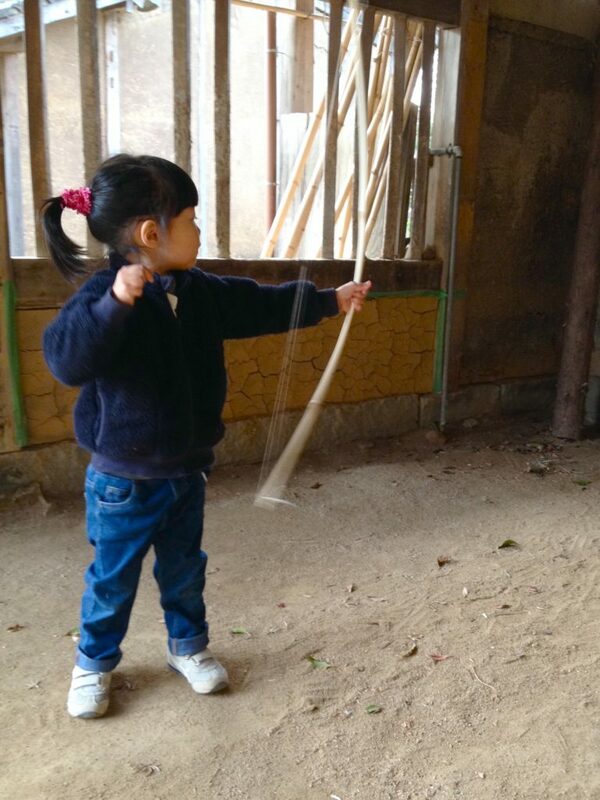 When I taught her how to do it, she struck an arrow well unexpectedly. But after 10 minute she play around except bow. Our goods are now available in Meguminosato. 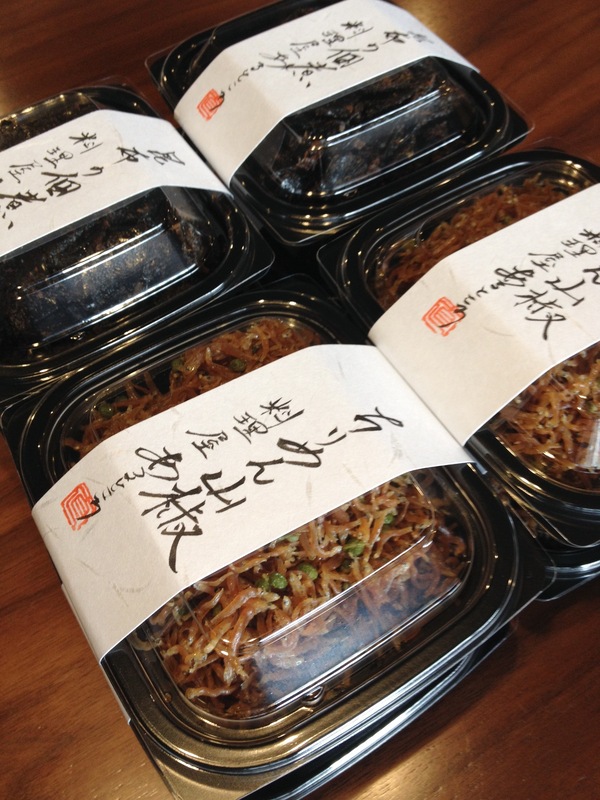 This time Thirimenshansyo and Konbu no tukudani are you can get!! 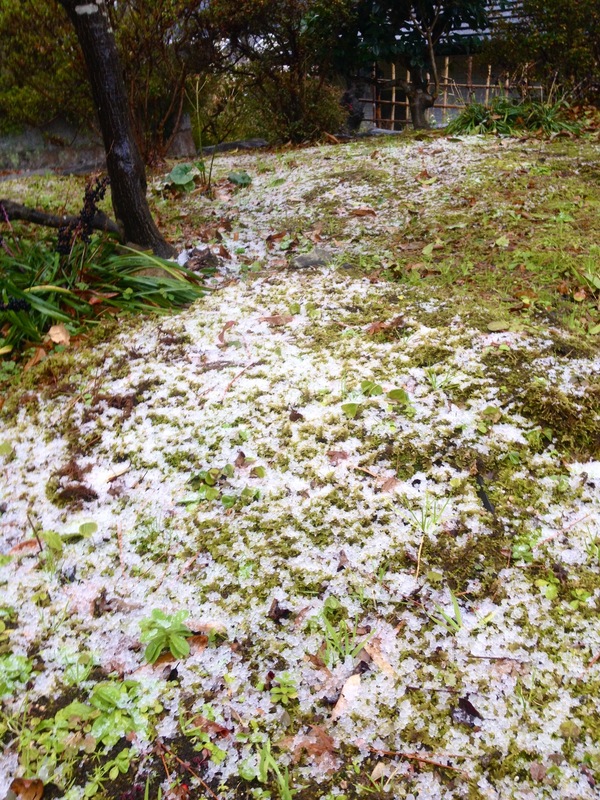 A little snow fell in Karathu. 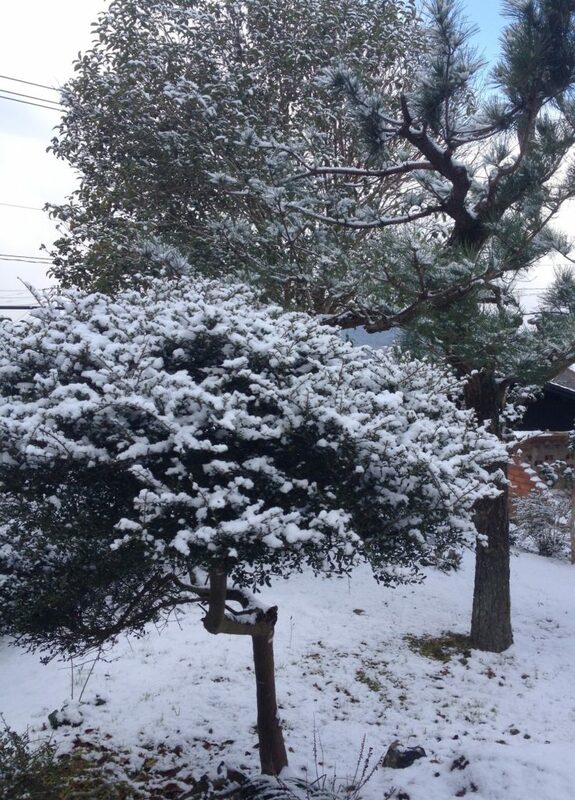 There seems to be trouble all over Japan because of this cold. 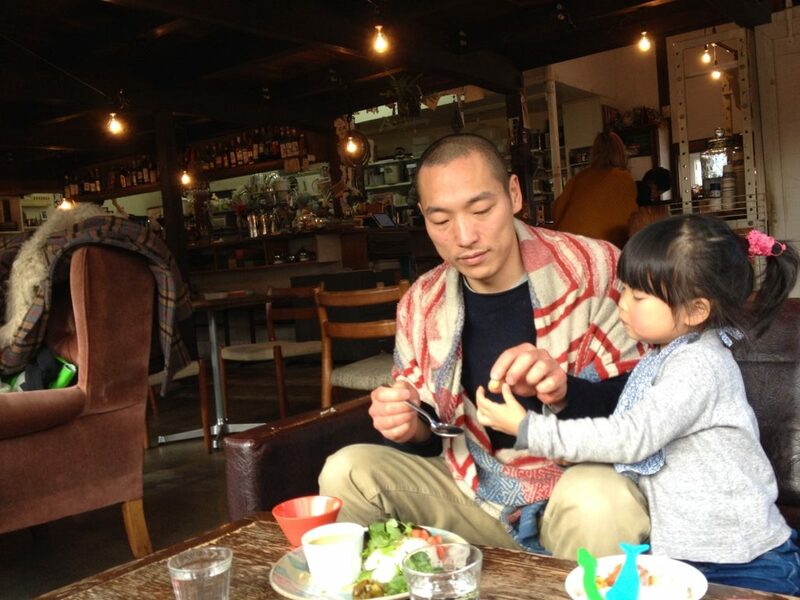 It is beautiful just to see…….